Okay, do UK writers know about this? I found out last night and had quite a sleepless night. You should know about it. As should anyone on a low income who is self employed. I'm in the same position as the person in the article, and I'm sure some of you are too. 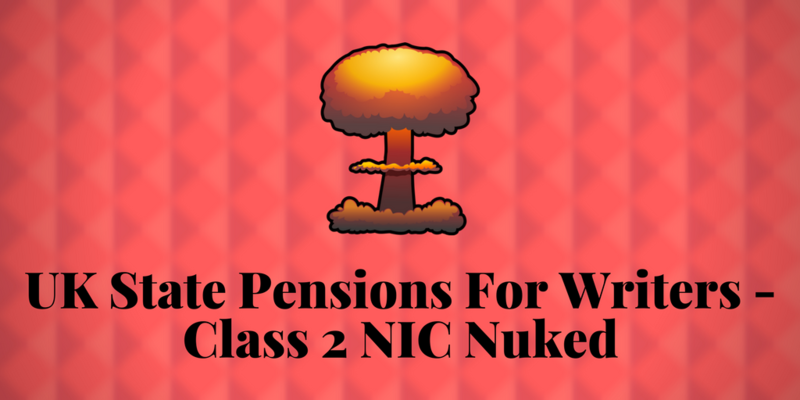 I'm self-employed (author) and I currently earn too little to have to pay National Insurance Contributions (NICs), but if I don't pay voluntary ones I won't get a state pension. So I pay the voluntary Class 2 contributions. I need to do this for another 10 years or so to get a state pension (it's hard to be exact, because the Government doesn't keep you informed of it - part of the reason many women got shafted by pension changes, including some of my friends and family). According to the new budget the Government are going to get rid of Class 2 contributions. 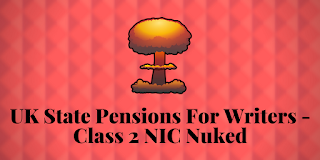 For people like me, the lowest earners (with least savings, claiming no benefits), we then have two options: not get a state pension at all, and live off nothing when we retire; or pay the Class 3 contributions, which are four times more expensive. Instead of £145 a year, we'll have to pay £733 a year. That's more than I earn some years! But unless it is paid, the state pension I've contributed to (worked in paid employment for over 20 years, paid weekly voluntary contributions since then) will be lost and I'll have nothing to retire with. There's no way I can afford that. And no way I can afford not to have a state pension. It is an untenable position. I'll obviously write to my MP, and I suggest you do the same if you are self-employed and on a low income. We're the ones hardest hit, and the ones least able to take the hit. Ouch. Find your MP here or here. Feel free to ask them on social media too. And sign this petition. Oh, and the person implementing these changes is Philip Hammond, the Chancellor of the Exchequer (Conservative MP). That's terrible! I hadn't heard of this, and it will affect me too (I am self employed as a music teacher). I'll contact my MP. Thanks for the warning! I'm in the exact same boat, it's terrifying. If it actually goes ahead, I'll have no option but to quit freelancing and seek out a conventional job because this would leave me with barely anything.